Please review the Supported Equipment, Integrated Hardware List, and Partners. BioTrackTHC cannot guarantee the integration of unsupported hardware. While state or county compliance requirements will likely dictate your final equipment decisions, the specifications listed here will allow you to select Equipment and Integrated Hardware Partners that are needed to support the BioTrackTHC System. We trust that these carefully selected commercial grade devices, that have been proven in the field, will serve you well for years to come! We understand that no two cannabis businesses are identical, which is why we aim to provide an array of integration partners to provide you with equipment and tools that help you get the most out of your business…and your bottom line! From Online Ordering and Digital Menu Boards to Integrated Hardware and Wholesale Supplies Marketplace. Online Ordering, Digital Menu Boards, and Customer Relationship Management Tools – Directly integrated with your BioTrack cannabis POS to eliminate double-entry and create a memorable customer experience. For dispensary point-of-sale (POS) users only: The data in your cannabis POS is the key to your business’ success. DataOwl gives you the tools you need to put that data to use through Online Ordering functionality, Digital Menu Displays, and an intelligent SMS text messaging tool, all updating in real-time with your POS inventory levels. Dispensary Loyalty and Rewards Software: Superior marketing technology and strategy allow businesses to build strong customer relationships by harnessing their cannabis point of sale. springbig drives increased retention, increased visit frequency, and increased spending through SMS messaging, loyalty and rewards programs, and fully integrated technology to better reach your clients and drive powerful results, instantly. Scales, printers, labels, and much more – Everything you’ll need to create the ideal BioTrack experience from our dedicated partners. Have you noticed the MainStem button in the bottom right corner of your BioTrack Quick Links? Enjoy wholesale pricing on ALL of your business supplies through the MainStem Marketplace! Everything you’ll need to get your BioTrack setup with fully integrated hardware and a smooth customer service experience. Labels, printers, scales, you name it, RMBP has it! Stover’s provides resilient, weather-proof labels and printers that are built to handle the harsh conditions of your grow and help keep you compliant. Compliant labeling solutions and the hardware needed to print them. Point of sale terminals, servers, fully configured networks – everything you’ll need to establish your IT infrastructure at your business. Star Micronics has established itself as a leading supplier of small printers, audio components, high-precision machine tools and precision parts. Star Micronics is one of the most innovative companies in its target industries, they also hold the philosophy to carry out operations with eco-friendly practices. Strategic business partners under the corporate Helix TCS umbrella including security services, wholesale marketplace, and more. Offering 360 digital security services specializing in compliance for the legal cannabis industry in the U.S. and internationally. Our Virtual Guard or “Eyes On” Remote Monitoring program is the most cost-effective approach to 24/7 active monitoring of your business. 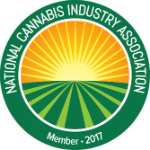 Your BioTrackTHC Implementation Partner for Dispensary, Cultivation, and Manufacturing. We have the required experience to understand your specific needs in terms of Hardware, Software, and Network integration. Our consultant will be on-site during the entire 5 days implementation process to guarantee seamless integration of your new BioTrackTHC System. Cannabis Creative Group is a digital marketing firm dedicated to helping clients increase visibility online, enhance conversions and achieve business goals through performance-driven marketing solutions. The agency is unique among marketing firms in that they specialize in cannabis-based businesses. From Security Consulting to installing Alarms/ CCTV/ Access Control and implementing monitoring, Security Grade Protective Services does it all, practicing a business model that bolsters Cutting Edge, Competitive, and Comprehensive Services. BioTrackTHC cannot provide service to unsupported hardware. If you have any questions or concerns about the available, approved hardware options, please contact us. Not sure if BioTrackTHC is right for you? Check out our cannabis software solutions here.